The Crockpot truly is the BEST way to cook cube steak. I’ll show you how to turn an average cube steak into a tender and extremely flavorful meal with this easy slow cooker cube steak recipe. When I was younger, I always thought it was so funny how my then boyfriend’s mother would religiously make Cube Steak for dinner. Like clockwork, each week he would enjoy his cube steak which was slow cooked in their retro crockpot for a whopping 8 hours. His mother would serve it over fresh garlic mashed potatoes. He always would invite me to try it, but it honestly never seemed appealing to me. I imagined it to be little cubes of meat in some sort of gravy. Truth be told, at the age of 15, I had no idea what a slow cooker was either? My mom never, ever used one, but I do remember my then boyfriend (now husband’s) mom had a little vintage orange model with flowers and mushrooms on it. It looked as if she stole the prop right out of the Brady Brunch house. I will never forget that thing. It was like a magical little pot that could make even the roughest cut of meat tender. A little over 15 years later, and I now not only know what a slow cooker is, I own one! I love my slow cooker so much and use it at least weekly. It is an original “instant pot” if you will and can do so much! 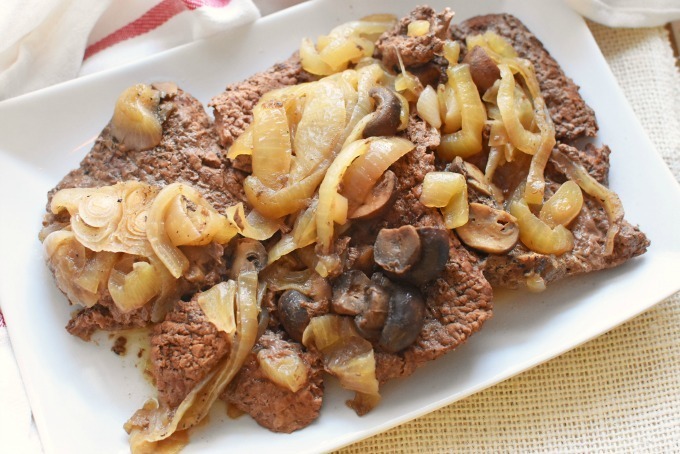 It even can turn rough, lackluster cube steak into only the most flavorful and tasty meal–ever!! 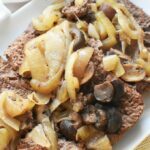 Slow Cooker Cube Steak (With Buttered Mushrooms and Onions) is such a yummy recipe that I winged one day. I was at the market and was so upset that the roast beef cut I wanted was $26. Instead, I settled for $6 cube steak and hoped for the best. Then, I remembered how much my husband ate this meal as a kid. 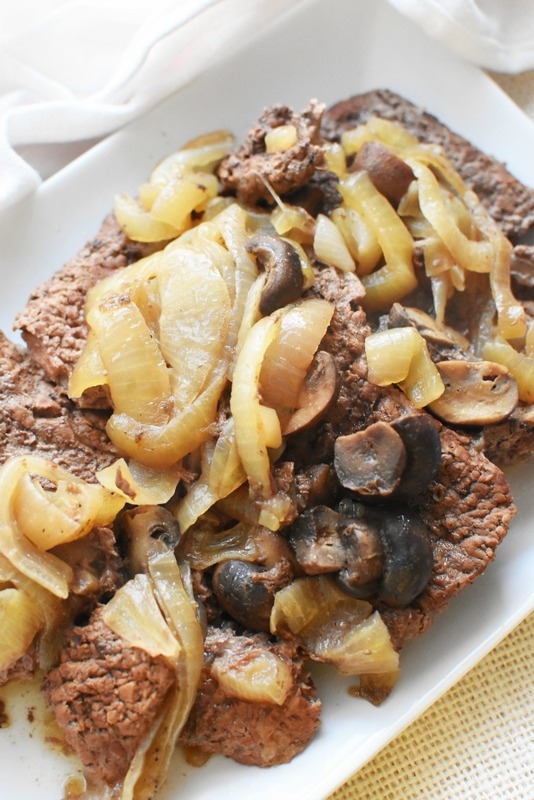 Want to make this Slow Cooker Cube Steak with Buttered Mushrooms and Onions? 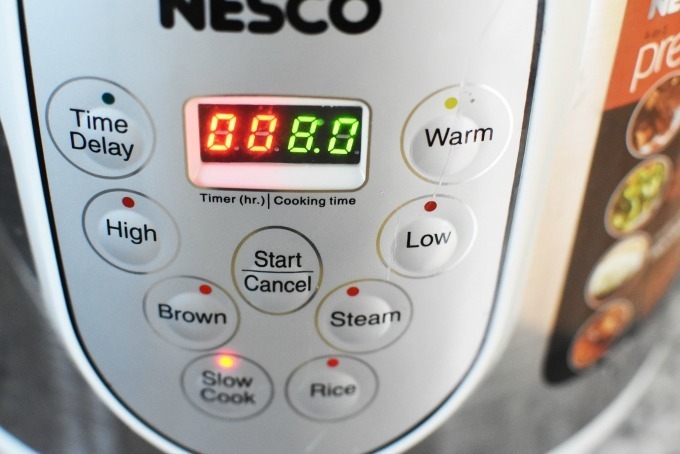 Add the beef broth to your slow cooker first. Then add the steak, and spices. Top with the veggies, and additional spices. Next up, add the cubed butter and set your slow cooker for 8 hours. 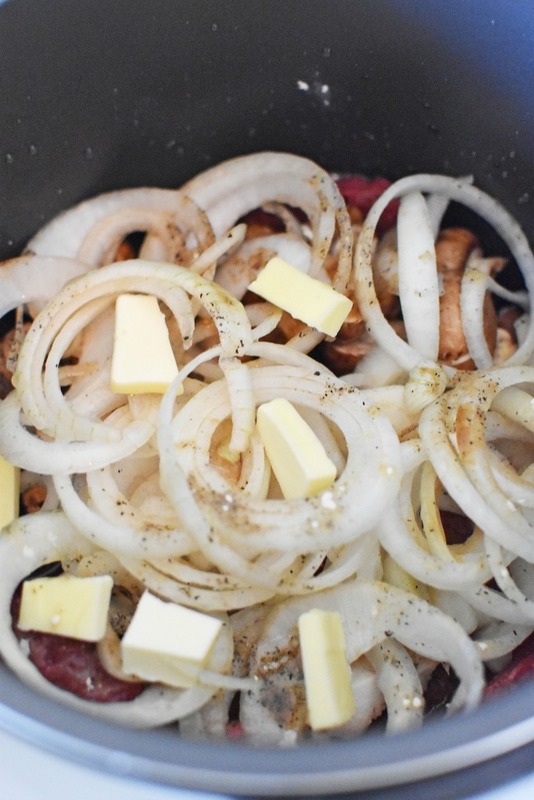 Once it is done, you will have the most flavorful and tender cube steak ever! Serve over mashed potatoes – these Cheddar Mashed Potatoes are good, and enjoy! I had such a hard time plating this for pictures because the steak wanted to just fall apart! After eating this tender and flavorful cube steak, you’re going to want a decadent dessert to end thing off. I recommend these desserts for after dinner! Turn average cube steak into a tender and extremely flavorful meal with this no-hassle slow cooker (crockpot) cube steak recipe. Add the beef broth to your slow cooker. Add the cube steak, onion powder, garlic powder, salt & pepper. Top with the veggies and additional salt & pepper. Add the cubed butter and set your slow cooker for 8 hours. 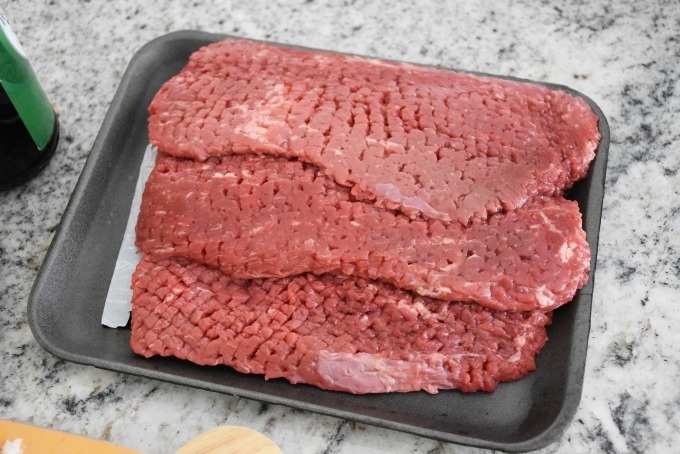 Once it is done, you will have the most flavorful and tender cube steak ever! Yes! I need this in my life! It’s a slow cooker recipe, so it’s easy. AND nothing is better than steak and mushrooms with onion. Om nom nom. I would have never thought to do this in a slow cooker. Great idea! We love slow cooker recipes this time of year! Slow cooking really does a great job with dishes like the delicious-looking dish you prepared. I can almost taste those juicy mushrooms and onions now. I love set it and forget it meals…and it’s the perfect time of year to do that. This sounds like a great recipe. Oh I will be giving this a try next week when we are back at school and work! I love easy, hearty recipes like this! This looks really good! 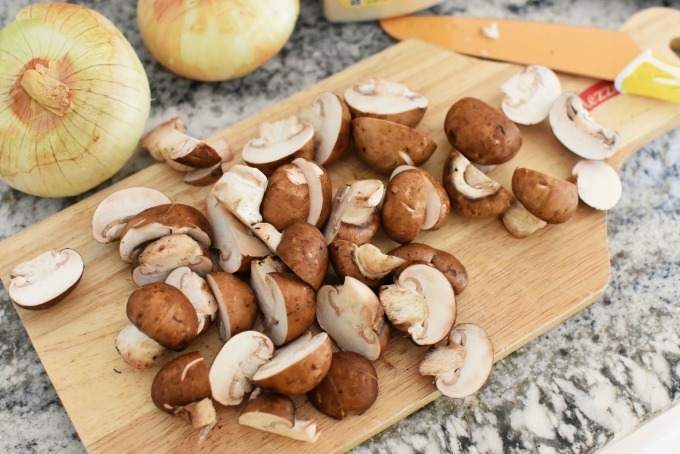 My family loves mushroom so I am sure they’ll love this!